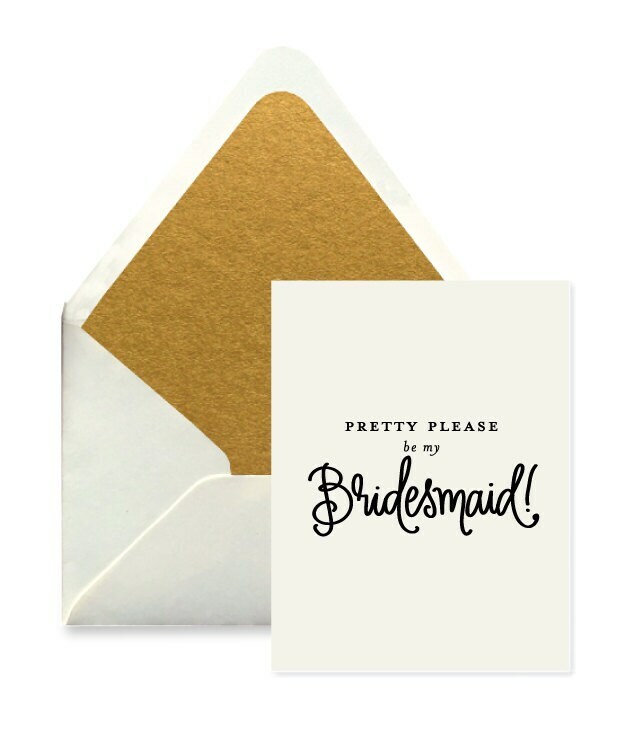 A fun card to ask your Bridesmaid to join your wedding party! Luxe (120 lb. thick!) Off-White Card with Matching Gold hand-lined Envelopes!